Begin your day with this one hour yoga practice. Stretch and strengthen, improve posture, balance and mental focus. Beginner friendly and modified for all levels. With almost 25 yrs of experience our lovely and inspiring instructor Tana will guide you through a class you will want to never end. She finds just the right combination of holding asanas and occasional vinyasa flows that fits the need of every student leaving your body relaxed, detoxified and strong! See you on the mat! 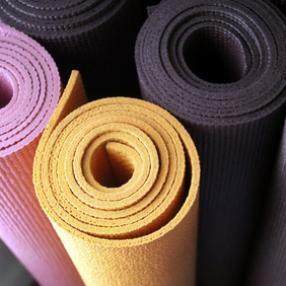 All level Yoga classes at Chesapeake Martial Arts in Ocean Pines. Imad always takes time to be sure everyone in class is working at their pushing but always encouraging. He has a love of the practice that he passes onto his students. If you are a beginner or an experienced student, you will feel welcome in his class. If you are new to yoga, start with will love it! I look forward to his classes every week. AM Yoga Sundays 8 Mondays, Wednesdays & Thursdays at 7:30 AM. Bring a water bottle and a Beach Towel or a Yoga Mat. * Tuesdays 6:00 PM All Level Yoga at Chesapeake Martial Arts School in Ocean Pines. * Wednesdays 5:30 PM All levels Evening Yoga at Pilates and More West Ocean City. *Thursdays 7:30 AM Beach or Indoor Yoga North Ocean City. * Thursdays 8:50 AM All levels Morning Yoga at The Ocean Pines Community Center. * Thursdays 10:30 AM All Level Yoga at Chesapeake Martial Arts School in Ocean Pines. 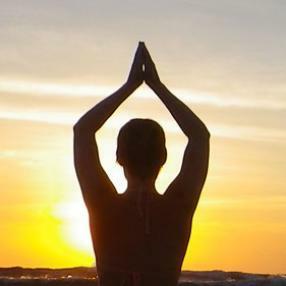 * Thursdays 5:30 PM All levels Evening Yoga at The Ocean Pines Community Center. * Fridays 9:30 AM All level Yoga at The Parke At Ocean Pines. * Fridays 11:45 Chair Yoga Yoga at WOC Fitness, West Ocean City. MD. * Fridays 6:00 PM All Levels OC Beach Yoga at 118 Street & the Beach just north of the Carousel Hotel. * Saturdays 10:00 Am All Level Yoga at WOC Fitness, West Ocean City. MD. * Saturdays 6:00 PM Beach or Indoor Yoga North Ocean City. A gentle class for anyone dealing with chronic pain and inflammation. We use many types of props (all provided during class) in a therapeutic style. Chairs are available every class and some classes chairs are intentionally included. No yoga experience necessary. Wherever you are that day, start from there as we connect mind and body through yoga postures and breath work. Work slowly and deeply with classic poses in well-rounded sequences, with an emphasis on healthy alignment. Appropriate for all levels: if you’ve never practiced yoga and you have tight hamstrings, terrible balance, and a sore back, this is the perfect class to give you a safe introduction to a wonderful habit. On the other hand, if you already have an advanced practice, this sort of slow, mindful, focused work will take all of your asanas to the next level by releasing long-held tensions, increasing stamina, and exposing and correcting subtle quirks of breathing and alignment. Come enjoy the benefits of increased flexibility and strength, deeper, easier breathing, and the true gift of yoga: a happier, more tranquil mind. This one hour and fifteen minute course is appropriate for anyone seeking to begin their day with a gentle yoga practice. Special attention will be paid to the therapeutic applications of alignment, breath work, restorative postures and meditation. It is an excellent choice for students working with injury, chronic pain or recovering from illness. A great class for anyone who spends the majority of their time give, give, giving. 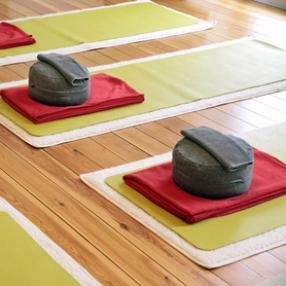 It is a gentle and restorative yoga class for students with health issue or older adults in a slow paced environment. You will learn about the basic yoga asanas, breathing techniques and meditation in a Deaf friendly yoga studio. American Sign Language is the primary mode of communication. Is finding 90 minutes in your day for yoga a challenge? No worries -we offer Vinyasa Express: A condensed, fast paced vinyasa practice with an upbeat vibe. Lengthen, strengthen, tone and breathe, getting the most out of your practice in just 60 minutes of mindful effort. Level 2, or 2 Diamond, classes are suitable for intermediate students. The basic postures are expanded to include more difficult variations and may be described with less detail. The class will flow at a faster pace and the asanas will be held longer. The classes introduce more advanced breathing techniques and concepts in yogic philosophy including the energetic body. This class is ideal for those newer to Yoga. Focus will be on proper body alignment within poses and learning to develop deeper breathing techniques. Students will learn greater body awareness, reduce stress and tension, and find an enhanced sense of well-being. Derived from hatha yoga, but with a faster pace, where the asana (postures) are linked together in a series of movements that are synchronized with the breath. Much emphasis is placed on the breath and the transition in and out of the asanas. This is an all-levels class that will give the opportunity to be slow and deep while still focusing on proper alignment. Classes can include breath-work or meditation and often work through the chakras creating health and balance beyond just our physical bodies. This class is designed for those looking to take their practice to another level. Arm balances and headstands will be practiced in this class, (they are not mandatory to practice). If you are looking to grow with your Asana practice this is the class for you. A traditional hatha yoga class for all skill levels. This is a beginner class. It is designed to introduce you to the practice of Yoga. No experience is necessary. If you would like to reintroduce yourself to your Yoga practice, then this is the class for you. All you need to do is bring yourself. All materials are provided for you free of charge.